The Island Rains collection by Tacori presents this chic bracelet. 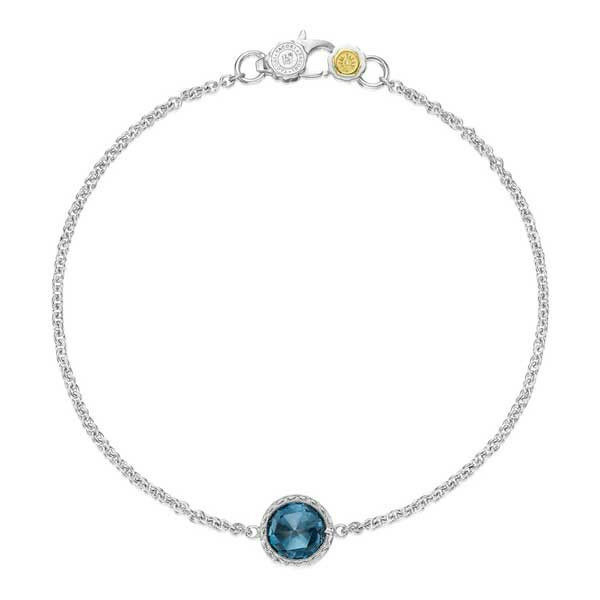 An alluring shade of blue radiates from a London blue topaz that is set in sterling silver with the crescent design as it rests on a link chain bracelet. It's captivating beauty will take any Tacori girl's breath away.